My regular (once or twice per month) email newsletter is full of Scandinavian philatelic news, announcements of new books and catalogs, and special sale offers (Scandinavian and world-wide collections, Scandinavian used albums, and pre-owned philatelic literature) at great prices. Many special offers are only made through the E-News. This is a great way to stay current and get some great deals. Currently the E-News is only being sent by email and is not being posted on the website except for occasional articles (see also the Resource section of the website). Many clients email, write, and call to tell me how much they have enjoyed the E-News articles. This archive includes the articles and related information, however, out-of-date Specials offers may (or may not) have been removed. Use the links provided in each E-News to see the currently available Specials. The specific offers and prices shown in archived editions of the E-News may no longer be available or may have changed; the information in archived editions is not maintained or kept current. Please email me if you have any questions about pricing or availability. The 2006 November 16 through 2008 November 11th issues are presented in full on the website. Before and after that they were email only, with articles also presented on the website in the Resource section. 2012 November 8 Denmark, Danish West Indies, Finland, Greenland, Norway, and Sweden. U.S. stamps. Collections. 2008 November 11 Denmark, Iceland Date Blocks, U.S. modern sheets, Slania Proofs, Worldwide Stamps, U.S. Duck Stamp Prints. 2008 November 5 New 2009 Facit Scandinavian Specialized Catalog. 2008 October 9 New Denmark AFA Catalogs. Canadian & U.S. stamps. Article "Stamps in Times of Economic Uncertainty". 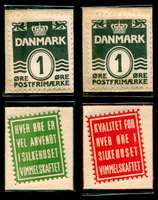 2008 September 11 Denmark Airmail Stamps and all related Danish Airmail items including Stamps, Semi-Official Airmail Stamps, Proofs, Essays, Covers, etc. Denmark Secret Cold War Emergency Stamp. United States Stamps. 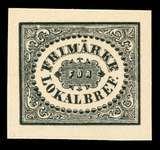 Norwegian Revenue Stamp Catalog. 2008 August 28 Greenland stamps, United States Stamps, Newly Issued Scandinavian Stamps, Worldwide Stamps, Norwegian Revenue Stamp Catalog. 2008 August 1 United States Stamps, Denmark Stamps, and Finland Stamps, Icelandic Postmark Collection. 2008 July 17 Finland Gallery Select Stamps, Bargain Stamps, and Specialized Stamps. New Printed Price Lists. 2008 May 22 Faroe Number One, Finland Modern Rarities, etc. 2008 May 8 Early Album Labels, etc. 2008 April 17 Norden 2008 "Nordic Mythology" Issues, etc. 2008 April 1 Sweden Ladybug "Error" Stamp, etc. From this point, only occasional archived issues are presented.